Hurricane Danielle reaches Cat4, Earl forecast strengthing | Watts Up With That? MAXIMUM SUSTAINED WINDS…135 MPH…215 KM/HR, path projected to be away from the East coast of the USA. INTERESTS IN BERMUDA SHOULD MONITOR THE PROGRESS OF DANIELLE. THE ESTIMATED MINIMUM CENTRAL PRESSURE IS 946 MB…27.94 INCHES. GUSTS. EARL COULD BECOME A HURRICANE BY SATURDAY. August 26, 2010 in hurricanes, Weather. I bet some of the AGWers are wetting themselves with excitement at the propspect of another Katrina so that they can crow “told you so!” I will be watching this closely but would point out that so far UK msm have not picked up on this to date, unless I have missed it! More outer planetary alignment, more storm intensity, who would have guessed? ECMWF 00Z model for August 27 has a doomsday scenario with the wave off of Africa designated 97L and destined to become Fiona. 10-day forecast puts it off the SE coast as a Category 5+. Alan the brit, the msm may not have picked up on it..but i’m keeping a close eye on it as i’m off to bingley festival in eight days and the stronger it gets the more likely its remnants will go across england next weekend rather than northern scotland! They can still pack a punch over here. Well 97L is in phase with lunar declination tide crossing the equator today, headed North, adding push from the South side for better convergence, I had already bet on the August 24th storm Frank on being the wave that would benefit the most from surfing the lunar wave into shore. We’re getting more ‘hook’ up the east coast to this one. Any chance we’re back in a 1940s – 1950s pattern where hurricanes hit New York and Boston areas? So do the “gulf vs east coast” statistics track in any way against La Nina or PDO or? cycles? I hope thay have warned the polar bears. Cat 4 for that finicky and moody Danielle; she’s turning into a real … well, let’s call her a nag and let it go at that. Meanwhile, Earl’s still a wimpy little shrimp and the future Fiona’s getting her act together. Let’s hope they all do a nice curve east of Bermuda and keep it a sea show. This just in at the Atlantic Tropical Weather Discussion (I looked at it a few minutes ago and now it’s updated – 0805 EDT). hurricane of the year 2010. Way to go. Nice that she’s not bring her party to the coast. Bermuda will be worrying about both Danielle and ratty-looking brother of hers. Life doesn’t get much better if you’re a hurricane. >More outer planetary alignment, more storm intensity, who would have guessed? Given that NHC has a 5 day forecast for their storm pages, perhaps you could take the time to stay five days ahead of the planetary/lunar status and give your forecast for each day ahead. Your posts read like “Monday morning quarterbacking” (apologies to non-US readers) and not like science. Even better, if you could come up with something quantifiable, e.g. a resultant foce vector for planetary influences and a separate tidal vector for Sun and Moon, that would be much better. > We’re getting more ‘hook’ up the east coast to this one. Any chance we’re back in a 1940s – 1950s pattern where hurricanes hit New York and Boston areas? Floyd in 1999 brought a lot of rain, (and major flooding in North Carolina), but that’s about it. Carol (1954), Edna (1954), Diane (1955), and Donna (1960) was a period that most people didn’t experience. I have no idea how much that cluster was luck (probably a lot), or what the risk is of it repeating. We’ve lucked out (probably a lot) during this active period. See http://www.mass.gov/?pageID=eopsmodulechunk&L=3&L0=Home&L1=Public+Safety+Agencies&L2=Massachusetts+Emergency+Management+Agency&sid=Eeops&b=terminalcontent&f=mema_new_england_hurricanes_of_note&csid=Eeops – a URL that only a gov’t bureaucrat could love. I don’t think you need to consider tides. The jet stream is doing its La Nino loopy dance across the US and forcing the jet up the Atlantic seaboard as the jet collides with the Arctic Oscillation and North Atlantic atmospheric system. Any hurricane would be hard pressed to fight against that in order to make it to Eastern seaboard land. E.M.Smith says: August 27, 2010 at 1:59 am We’re getting more ‘hook’ up the east coast to this one. Any chance we’re back in a 1940s – 1950s pattern where hurricanes hit New York and Boston areas? My family moved to 20 miles north of Boston in 1960. I remember a few hurricanes in the 60s. For one of them, my dad took us near the beach, a safe distance away to watch 30 foot waves rolling in, impressive energy! Hurricanes were much more fun than hiding from tornadoes in the SW corner of the basement in Indiana. Ric, you may have missed Richard’s previous predictions. He did predict increased hurricane activity about this time and then again in late September. His prediction also stated that storm intensity would increase after 8/20. If his September predictions hold, perhaps he is on to something. “Correlation may not be causation, but I have seen repeating patterns in which the normal TS production (TS and Cat 1-2 storms) happens when there is a lunar declination culmination, but close to or just after a Synod conjunction with one or more of the outer planets, the extra energy drives the maximum storm energy into the Cat 3-4- and 5 range. This year we had a conjunction with Saturn on the 22nd of March, spawning three weeks of strong storms and flash floods globally, but will not be seeing any other until the three other outer planets all come together between the 20th of August and the 21st, 22nd and 24th of September 2010. This should give us a break in intense tropical storms until Mid August, then we will see a rapid uptick in activity until the peak of these effects are over in late October. I thought we were suppose to avoid putting curves in a trend line. If you plot the track of Danielle for the past 24 hours, and continue it on as a straight line, using a ruler to draw a neat and tidy straight line on the map, the hurricane crashes into Virginia and through the front door of the White House. Then…what would it happen around september 20?. More “earthspots”? Are you thinking of that chinese cook, kind of Hahn-Sehn or something like that, who cooks very hot and spicy dishes for the UN IPCC people? The real hurricane season will kick in after the first of three synod conjunctions with Neptune on the 20th of August, then really get crazy just after the combined synod conjunctions with both Jupiter and Uranus on the 21st, and each other on the 24th of September. There might be enough power in the solar wind disruption coming on the 21st to 24th (September) to shut down some Power grids, with the geomagnetic storms they will probably generate. Today I climbed out on a big limb, with chainsaw in tow, with this forecast? There are four ingredients needed to make a large storm, available heat energy, moisture to change phase states to generate the low pressure zone, ion potentials to drive the “precipitation” (not just condensation), and a global lunar tidal effect to drive the wind patterns that tighten up, as the tropical air mass that becomes the tropical storm, moves off of the ITCZ and further away from the equator, the Coriolis effect kicks in and strengthens, to assist the formation of the cyclonic circulation along with the associated ionic drives. 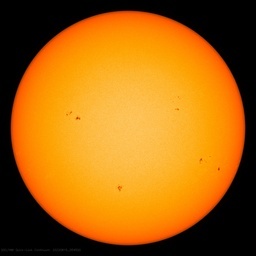 The solar cycle has been slow, but is starting to pick up as we approach the heliocentric conjunctions of three of the four outer planets that drive the global ion potentials that create and drive these large storms. I have posted a detailed forecast of the dates to expect these storms to be produced several time over the past year. Neptune on the 20th of August, the Earth will have an increased homopolar generator charge potential inducted into it, then relaxed over the next two weeks (till end of August 2010) that will induce the typical discharge pattern that generates the large flows of ions that allow the global tropical storms to attain sizable effects above cat 1 – cat 2 levels, because of increased wind and precipitation production, powered by the enhanced action of the opposing ion charges swept into the cyclonic flow structure. September 21st through 24th 2010 will see the bigger set of conjunctions that will do a much better job of driving the intensity of resultant global tropical and extra-tropical storms, that form on the discharge side of the ion flux patterns, after these dates. No the season is not over yet. The lunar declinational tides that peak at the culmination of the declinational sweep occur at Maximum South on 19th August then heads North with tropical moisture in tow until the effects has run its course by the 2nd to 4th of September 2010, is the window of opportunity for the first weaker outbreak of global TS. The lunar declination is Maximum South again on the 15th of September 2010, ahead of the peak of charging of the Uranus / Jupiter heliocentric conjunction of the 24th of September 2010, and it should be in phase with the movement of tropical moisture laden warm air crossing the equator following the moon, as it moves North across the equator on the 23rd of September. The same day of the peak charging effects of the homopolar generator as the Earth responds to the increased inductive effects carried on the solar wind to affect the coupling through to the outer planets from the sun out of a large coronal hole created on the sun just for the purpose of providing the magnetic field energy needed. This powers up the cycle of positive ion charging along the ITCZ, by pushing more moisture into the lower atmosphere, to then add drive to the ion discharging phase, driving the resultant outbreak of global wide intense tropical storms, that will occur post conjunction. By the time the Moon reaches maximum North declination on the 29th of September 2010, the global ACE values will be close to peak for the year. Inertial momentum of the global systems should carry on the enhanced zonal flow through the next two weeks. This is the first active hurricane season where I have high speed internet and links to all of the interesting global satellite imagery. I don’t have a big government grant budget, so data base has been hard to find on electromagnetic effects in the solar wind’s interaction on the Geomagnetic fields and the resultant homopolar generator potentials [HPGP] from the equator to the poles. I cannot find THEMIS data sets on line, that I have the where with all to process on a retired old farts budget. One of the most interesting questions I hope to have answered this season, is about the current distribution of the discharging effects of the HPGP. Will they stay separated by individual storm location? Will they fade evenly until the point when I think the shift from slow discharge to recharge happens about the 3rd of September? When Mercury passes us and the balance will shift back to recharging the HPGP, at that time, or some shift in timing due to the spiral effects of the shape of the current sheet of the solar wind due to the more rapid rotation of the sun. One of the things I will be looking for is the spread of the decay of the storms, will it be synchronous for all storms together? [As an effect of the smooth overall decrease in global drive of the HPGP] Or will they act as individual cells of activity that each runs its own course, mostly due to ion content and thermal energy as well as moisture vapor that can change states, like separate currents isolated from the ionosphere, that I suspect connects them. The lunar declinational atmospheric tides are enhancing the perturbations, that are generating the swirls of vorticity that sets up the starting of these large storms, just as it did the failed smaller ones earlier in the season. It is my contention that the ion content and resultant influence as a result of the pole to equator charge gradient of the HPGP, and it’s resultant LOD changes side effects, have been overlooked by the mainstream. I don’t consider the tidal or gravitational forces of the planets to be of much use, as they are far too weak the same as their permanent magnetic fields. The moon on the other hand is the tidal force generator that drives the global circulation, the magnetic induction forces come into the Earth via the fluxing of the solar external magnetic connections through the [much more voluminous] magnetically susceptible materials in the planets, that increases coupling as they line up heliocentricly, develops the changes in HPGP felt as ion shifts in the precipitation patterns, frontal genesis, and tropical storms, that ride the lunar declinational atmospheric tidal effects. If you could see a real-time infrared satellite photo of these storms would they have cool water tails trailing behind them? How much do they cool the surface water as they pass? Have always wondered that. Maybe they have a link for what you are looking for as well. > If you could see a real-time infrared satellite photo of these storms would they have cool water tails trailing behind them? How much do they cool the surface water as they pass? Yes, and it doesn’t have to be realtime, the trail remains for days. I posted a link to a trail from Hurricane Edouard, see http://www.atmos.albany.edu/deas/atmclasses/atm305/hurricanewake.pdf I also had a clearer image, but the article will do. Wow, another great looking website to explore. Hurricane Agnes was a lowly Cat 1 hurricane back in 1972, and still remembered as the greatest natural disaster to ever hit Pennsylvania. Here at the family home in Central PA, practically at the very top of a “small mountain” hill that’s the highest spot for miles around, we had a lot of standing water in the basement. The rain just kept coming, couldn’t be pumped out fast enough. Nearby neighbors had flooded basements. My father drove us down the road where we could look out over the town and the Susquehanna River, and try to guess where the bridges and the islands were underneath all that water. 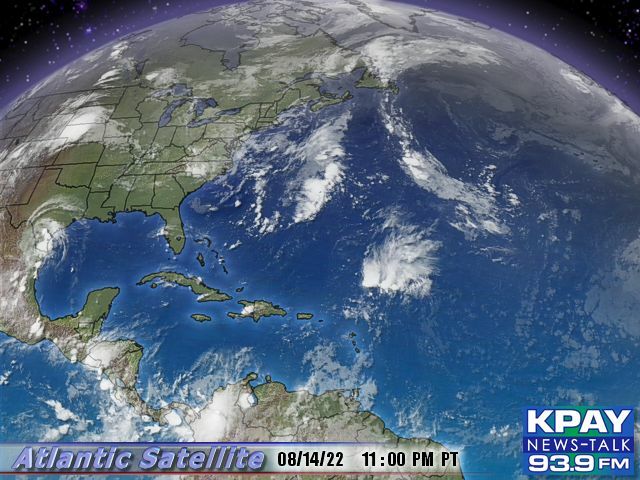 Just a small Cat 1 hurricane, down to a Tropical Storm when it hit PA. The Category numbers sound impressive, are useful for gaging potential wind damage. But for total devastation that will be done, they don’t tell you everything. Thanks Ric. That’s exactly what I wanted to see. Seems to clip upto five degrees off. Will have to read that paper later, looks interesting. I think Earl will pose a threat to the Eastern Seaboard in the long-term, as it is not only further south than Danielle, but much weaker, inidcating that steering currents would favor a East Coast storm, not a Bermuda Storm. The models have now started to see a swing [wobble] toward the South west as a result of the tidal effects of the moon soon passing over head for the night, about 4 degrees North of the Equator, the dome of raised ionosphere, and troposphere underneath is pulling Earl in toward the center of the passing bulge effect. Resulting in a pulse of growth in a Southwestern direction from its established track, after the moon passes nearly (with in 12 degrees) overhead, it will may rebound back most of the way before tomorrow night, when the moon passes about 8 degrees South of Earl’s position, pulling it further south again. By the night of the 29th, from moon rise to overhead, will set the stage for a pulse of growth and movement mostly straight west, past the 30th the moon will be above the 16 North latitude line and be pulling Earl north, for the re-curve into the continental air mass coming off of the South East US coast, and be forced to slide on North, closer to shore than Danielle will. I had original (back in July) thought the westward progress made on the 28th, 29th, and 30th would be enough (I’m still learning) to put it past the tip of Florida, and the re-curve on the 31st and 1st, bring it into the panhandle, and out through South Carolina, and out of the area by the 4th September. Although the maps (on my site) from the past cycles show it not quite making shore from the Eastern side. I hope that is detailed enough. The track does not look like much fun for Bermuda. The Saturday 8am notice has the storm back to a cat 2, missing Bermuda but taking an interesting turn north towards Greenland on the day 4-5 estimate (Wed-Thursday). And, back in the 40’s and 50’s, would we even have known that a storm forming off Africa and tracking through the Atlantic had even ranked as a hurricane. The latest Stormpulse forecast is showing Danielle will track north, missing Bermuda and the US Atlantic seaboard. Here’s hoping it misses the UK next week, although the resulting low pressure front may still bring us more of the cool, grey, wet weather! Some Live web cams from in front of Earl, Visit the Caribbean. Local comment; Today is definitely one of the hottest days of the summer. Clear blue skies, flat calm seas and not a trace of wind. The left front quadrant of Earl suddenly explodes with convection, as the shear and subsidence from Danielle’s outflow relaxes. Definitely a sign of intensification. Earl is going to be a bugger of a storm! Well tonight’s burst of growth surge as the moon passed overhead (just South with in 8 degrees) pulled in some of the dryer depleted air in the out wash of Danielle, “that was just out there” in the 15 degree zone of the tidal bulge center, as it shoved the top of the convection, around and to the southern side, (Shear is the term they use for it). Leaving the lower level center of circulation kinda back to the East, when the shear, drops Earl will become more consolidated, by pulling itself under the center of the fresh convection that was pulled West as the day dawns, and the web cams start to show clouds. Whole page of web cams for the Caribbean Islands for the voyeurs in us all. With Earl forecasted to become a major hurricane and a track that clips the Leeward islands and then goes between the US and Bermuda, Earl will be a more important storm to watch. Earl appears to be experiencing some northerly shear associated with the outflow from Hurricane Danielle with the outflow of Earl restricted on the northern semicircle. This shear is expected to decrease today as Earl moves away from Danielle. The guidance suggests Earl will become a hurricane within the next 24 hours [yep, very late breaking news!] and could reach major hurricane strength by mid week. Scattered/Numerous strong convection is from 15N-17N between 55W-58W with scattered moderate/isolated strong convection covering the remainder of the area from 13N-19N between 54W-61W. Scattered showers and possible isolated thunderstorms are fast approaching the Leeward Islands. Web page of note: http://www.nhc.noaa.gov/pastprofile.shtml has a lot of good graphics related to hrricane tracks, points of origen, and landfalls.